Anyone who knows me will say ‘oh no, not more marketing talk!’. I’ve bored my clients to death with this topic. Well, in my defence I am undertaking study for PhD in the subject, so I think blogging about it, thinking about it and challenging myself about it, is all legitimate and reasonable. Why blog about marketing here? Well I think it the biggest challenge that modern businesses, public sector bodies and not for profits face. Why is that? Well a majority of the value of businesses, the competitive position is built up through that businesses’ brand. But let’s not be narrow about what that means. It does not mean a logo, a name, a type font or logo. A brand is a genuine consumer (let’s use that term – I know it’s troublesome for public sector and not for profits) loyalty. I have worked with many clients in a non executive capacity. A particular one, it’s an educational institution, asked the board and other non executives what they thought about their planned strategy. Yes the strategy seemed sensible. It was a technical answer to a technical question, but in my view the wrong question. The questions answered were: what are we going to do? what are we going to prioritise? Yes the actions (in broad terms) seemed reasonable but there was no narrative. There was no feeling, no evocation of what this institution would represent to a human being. Now I hope regulars to my blog will not think I’ve lost my hard-nosed, can I see it, touch it or read it, audit edge, but for me how I feel about any experience as a consumer or customer matters. When I buy I Louis Vuitton bag or a Mercedes car, a large part of it is about how that makes me feel. It is this intangible element that makes the brand above the accounting book value. Otherwise you head down the commoditised track – how the does the car drive? What size is the bag? or even how much leather or metal (intrinsic) value does it have? Education, particularly higher education, seems to be commodifying around hours taught and intrinsic elements of the ‘student experience’ rather than more meaningfully about the long term gains made by students and the brand and feeling of being a graduate of X college. So after some discussion I suggested that the institution should focus its strategy on developing a meaningful brand and market position as this is the biggest risk in a competitive education and training market. After all, the curricula for various subjects, certainly at a trainee or undergraduate level, has to, by definition cover the basics of the subject. It is hard, therefore, to differentiate the service on intrinsic content. If you think about it in other market terms, a hoodie is a hoodie. 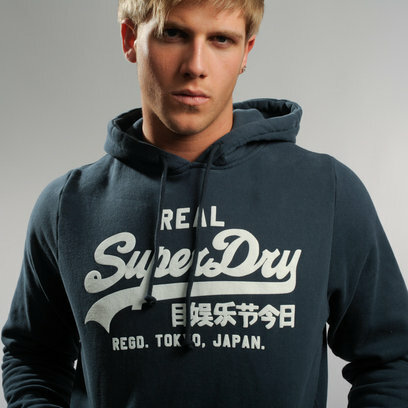 An M&S and Topman hoodie is not, at its core, much different from a Superdry or Jack Wills hoodie. Why do people pay three, fours times as much for the latter? The answer is brand. So, therefore, I entreat auditors across the world to consider, for their clients, what I consider to be the next battle for competitive advantage, brand and brand management. How do your clients manage theirs?